It’s no secret that the city is filled with all sorts of microorganisms—yes, even the kind you’d rather not think about. They’re there! Rather than focus on just the unsettling spores, a uniquely scientific new installation at the Storefront for Art and Architecture seeks to reimagine the city and the many neighborhoods and cultures it contains using the framework of the “human microbiome.” This posits that each city in the world, and each subculture or pocket within them, has their own “gut biome,” just like human beings do. 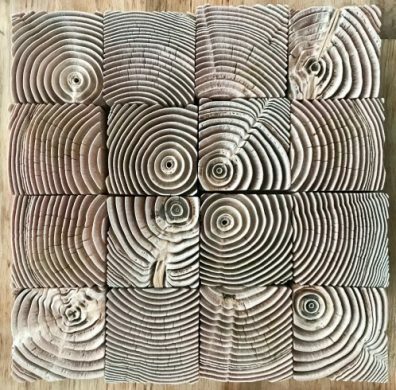 The installation (by Kevin Slavin, Elizabeth Hénaff, and the collective The Living) normalizes the idea that there are microorganisms everywhere in a city, collecting them through wood in the exhibition space’s facade as well “bio-receptive wooden tiles” scattered throughout the city. This wood is then displayed and analyzed, simultaneously art and scientific specimen. Opening Friday, September 21 at Gloria’s, 6 pm to 8 pm. On view through November 16. While it shares a name with the Caribbean restaurant in Crown Heights, Gloria’s is actually a new project space in Ridgewood run by artist Lauren Wolchik. Friday, they will be opening Furthering Sight, a new group show curated by Azikiwe Mohammed. The show features conceptual photographer Elliott Jerome Brown Jr., multimedia artists Devin N. Morris and Jheyda McGarrell, and painter Carlos Rosales-Silva. After the opening reception concludes, there will be an afterparty at nearby bar The Footlight with DJ sets and happy hour prices all night for those who saw the art. Opening Friday, September 21 at Filo Sofi Arts, 7 pm to 10 pm. On view through October 21. Trauma is insidiously multifaceted. It can affect one person’s brain 75 different ways and another person’s brain another 75 different ways. People can go days feeling fine and then suddenly spiral. For those struggling, it’s especially important to have tactics, people, and places that can bring comfort, even in the midst of chaos. 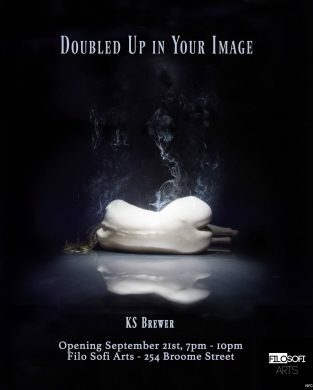 KS Brewer’s new installation, deemed a “post-traumatic impression of a bedroom,” features elements like strange sounds and a burnt-looking bed that has a concealed cavity to duck into, where an “uplifting” multimedia experience can be found. It encompasses both the mental distortions that trauma brings and a chance to escape them.